Here is my thought on 10 examples. George Eastman opens the show the year after Queen Victoria’s Golden Jubilee. This incredibly simplistic box camera really was point and shoot with no viewfinder and a string tensioned shutter. 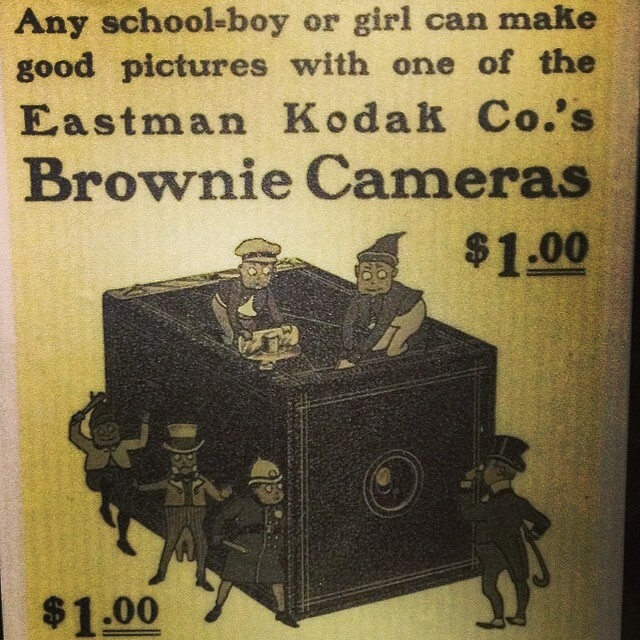 Loaded with a 100 shot roll, you had to send the camera back to Kodak to get the film swapped out and the camera was a princely $25 in those days (probably the same a months salary for an upper working class ). But we have a fixed focus shooter with a fixed aperture and in normal use a single shutter speed (you could do timed if you really wanted). P&S had arrived your Majesty. Not that you’ll see one out with museums or collectors nor really could you use one. 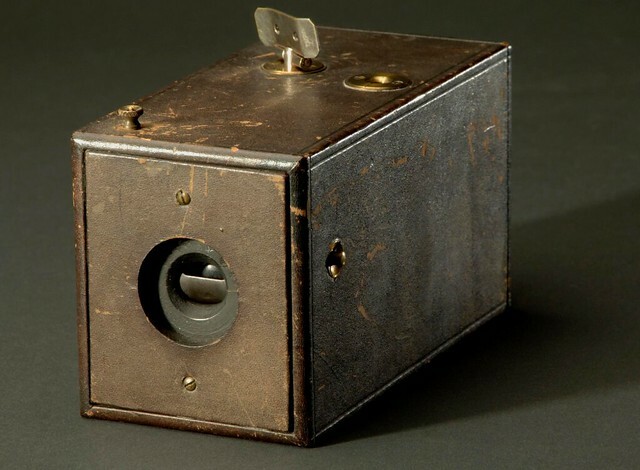 Queen Victoria was still on the go in 1900 when George Eastman’s company came up with this ultra simple box camera made of strengthened cardboard for the masses. Sold for just One US Dollar and with user reloadable cheap film Eastman hit a winning format which gave rise to the mass camera market. We have all we want here in a P&S with a simple fixed focus lens with a single aperture and shutter. 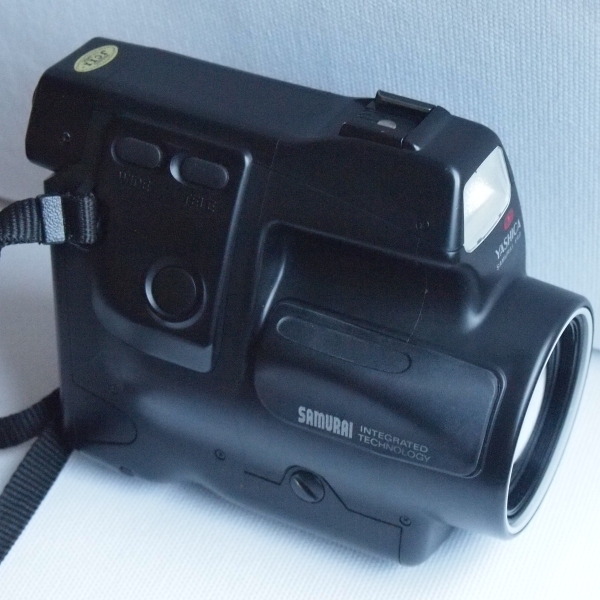 Like it’s predecessor it was launched with no viewfinder (a later add-on). 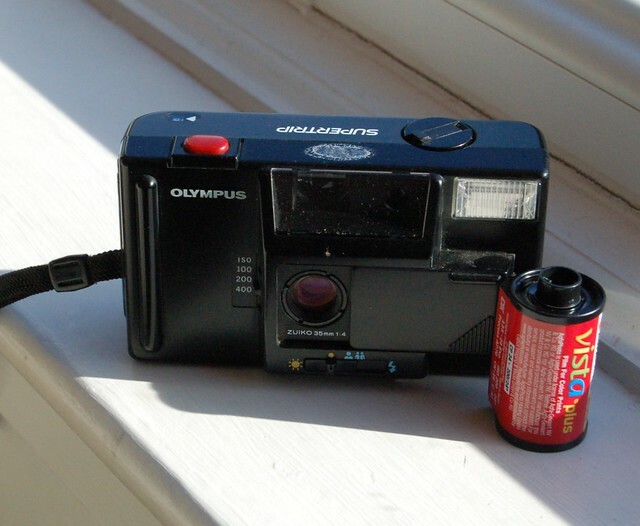 Rare to see now and not cheap, the camera also uses a long defunct film format so really one for the collectors. 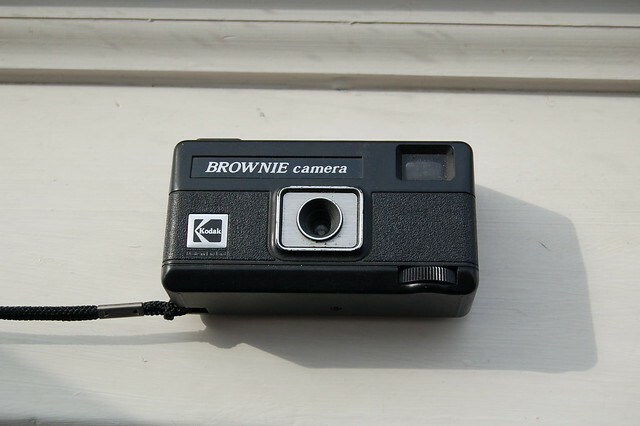 The Brownie No 2 is much more plentiful and take 120 film but technically doesn’t quality with 3 aperture setting. Although Kodak developed an auto exposure system with their 1938 Rangefinder the unsuccessful Kodak Super Six-20, autoexposure didn’t really take off until the 1950’s. This simple 127 film fixed focus box camera pips Kodak Brownie Starmatic to the post of the first automatic exposure P&S . Both cameras like many to follow used a selenium cell to detect the light and set the exposure (the so-called electric eye). In Bell & Howell’s camera this controlled the 2 aperture blades and the camera had a single shutter. A warning red arrow appears in low light. Although simple still a massive jump for the P&S. Another appearance for a C35 camera here but a much simpler affair than the C35 AF above although both share some common roots with arguably the first 35mm compact with built-in flash the zone focus C35 EF. That had full metering and influenced both the AF and EFP. But the EFP is a simpler affair. 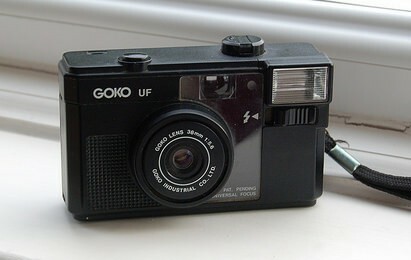 It has the same built-in flash as its siblings but it’s a fixed focus affair with effectively fixed exposure. Essentially when you set the film speed you adjust the aperture which is otherwise fixed- the CdS metering system just warns you of low light and to turn on the flash. A slew of these fixed focus and exposure flash cameras were made alongside metered fixed focus P&S like the Canon snappy 20 or the evolving AF point and shots. Into the Eighties like many cameras they became more angular but still popular with cameras like the Olympus Supertrip. 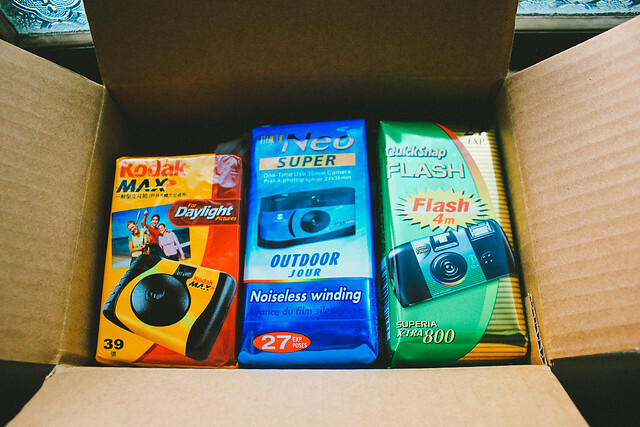 Automatic flash was added to some like the cult classic Halina Micro 35 (aka the Hong Kong Lomo) and motorwind. 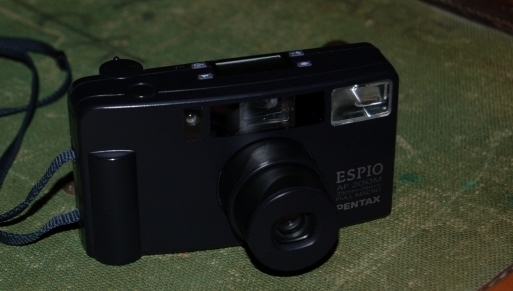 Original Pentax IQzoom by Boxy Brown. Remains subject to and shown under a Creative Commons Attribution-NonCommercial 2.0 Generic (CC BY-NC 2.0) licence. 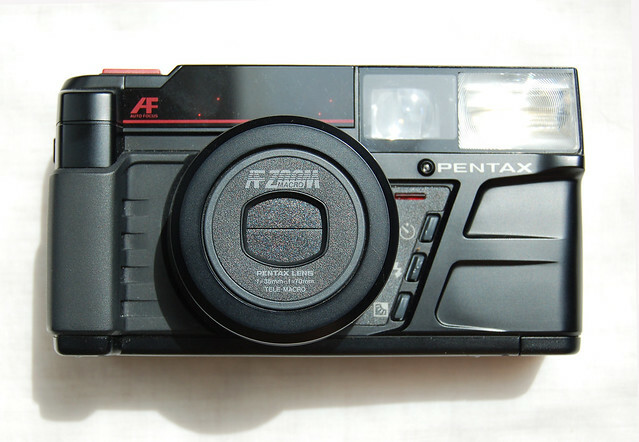 In 1986 less than a decade after Konica’s milestone AF camera, Pentax launched one of the first compact AF zoom compacts with the IQzoom. This series would morph into the Espio in Europe (although still called IQZooms in the US). I’m more familiar with the 1992 Espio AF zoom pictured above which whilst being much more refined, still shares many of the similar features to the original IQZoom. Both are DX coded motorwind beasts that mean the user really needs to do little more than drop in the film and have multi element zoom lens. The espio is much smaller than its big brother and has a LCD screen for setting although you can just turn on and point and shoot (for this purpose we’ll ignore the zoom). Unlike the C35 AF the flash now automatically triggered and you could lock focus and exposure. Eerily similar to any modern digital compact the only difference being using film and an optical viewfinder rather than sensor and LCD viewer. 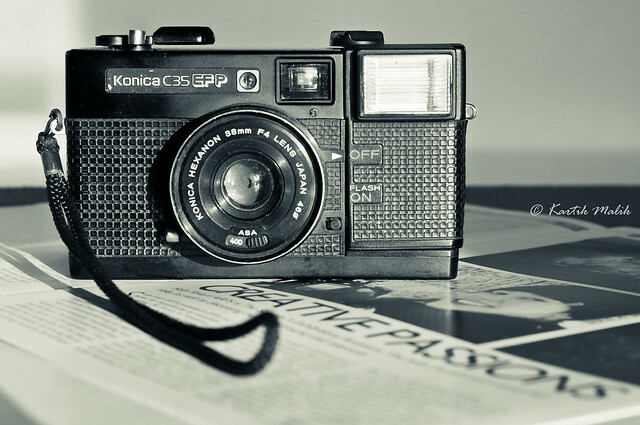 Well it is but it can also be considered as a point and shoot. 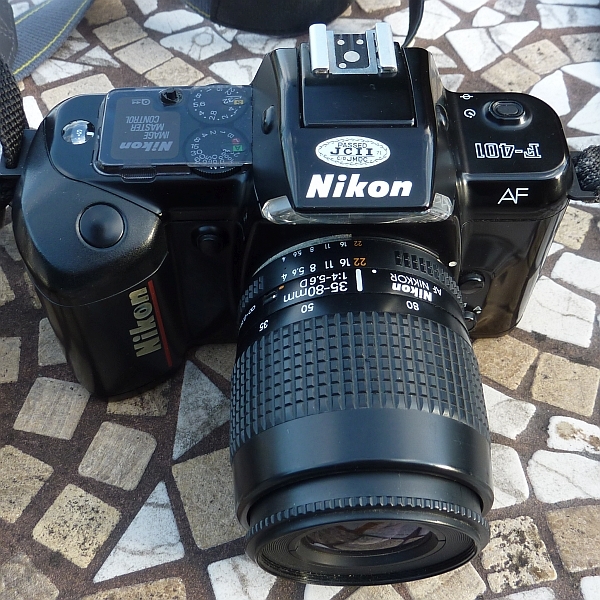 Not Nikon’s nor by any stretch the world’s first AF SLR the F-401 was launched as Nikon’s entry level AF SLR. Sure you can shoot manually or in Aperture priority or shutter priority modes and focus the lens if you want but equally you can load a film (easy load with DX coding) and leave the thinking to the camera. 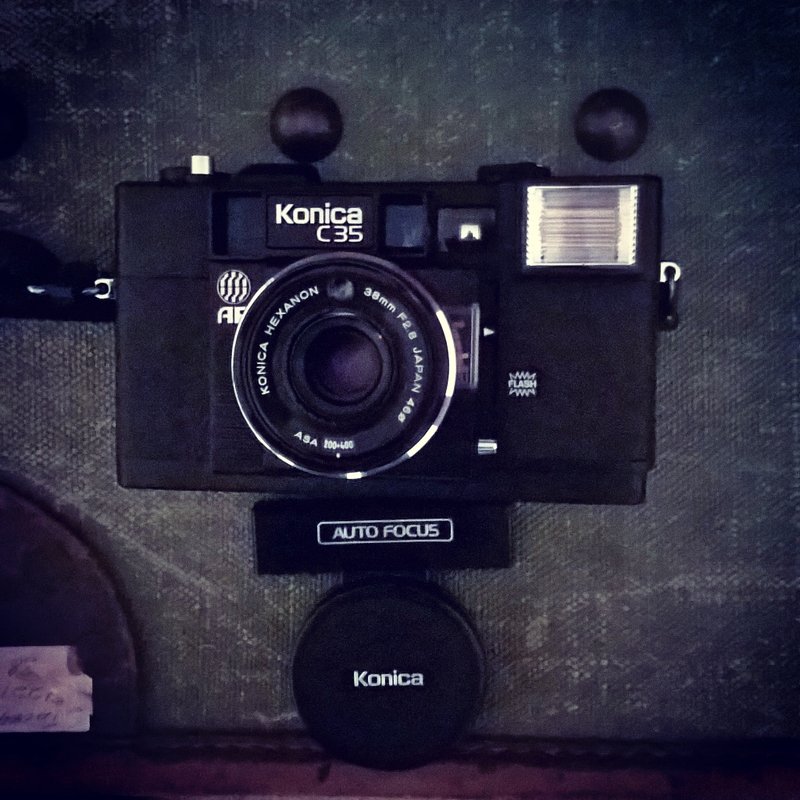 This 21st century tiny plastic 35mm marvel takes us right back to the beginning with the Original Kodak & Brownie and is pretty typical of many Lo-fi cameras out there. 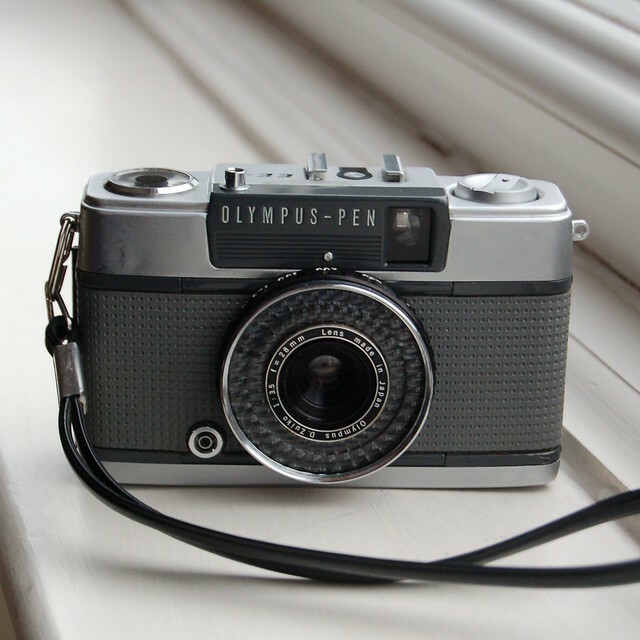 Like the original brownie it has a simple fixed focus lens, one aperture and one shutter speed and other than the shutter button a catch for film compartment that’s it. Still in production as the Superheadz wide and slim and a cult classic itself due to the incredible plastic lens. I will second the Superheadz White Slim Angel(amongst other names), if you only have one all plastic camera – this should be it!